The Orkney Archaeology Society is the new name for the Friends of the Orkney Archaeological Trust. We are the same organisation but in 2008 we changed our name and made some changes to our Constitution which dissolved our formal connection with the Orkney Archaeological Trust (OAT). Here is the background the formation of the Trust and the Friends, and a brief explanation of why change was needed in 2008. OAT was founded in 1996 as the result of an initiative by the Orkney Heritage Society to reinvigorate and support the Archaeological Service of Orkney. Since then, the Trust has raised awareness of Orkney’s archaeology and increased Orkney’s ability to protect its past. It has also been instrumental in the provision of a County Archaeologist, the increase in excavations and rescue digs, setting up educational courses and the designation of World Heritage status for Orkney’s Neolithic Heartland. The Friends began as an integral part of the Trust. By their interest, knowledge and support, the Friends helped OAT to protect and preserve Orkney’s archaeology, and to promote awareness in the general public. The Friends raised considerable funds each year by organising events, and by subscription fees and donations. However, by 2007, the county Archaeological Service had been passed over from OAT to the Orkney Islands Council and in September 2007 the Orkney Research Centre for Archaeology (ORCA) was established. ORCA is part of the Archaeology department of UHI Orkney College and undertakes both the commercial and research services previously provided by the OAT Projects Unit. These developments effectively mean that the work of OAT as supported by the Friends has been passed on to other organisations . In order to continue to support archaeology in Orkney, it was necessary for the Friends to relinquish their association with OAT and become a fully independent organisation. This was done with the full support of OAT. 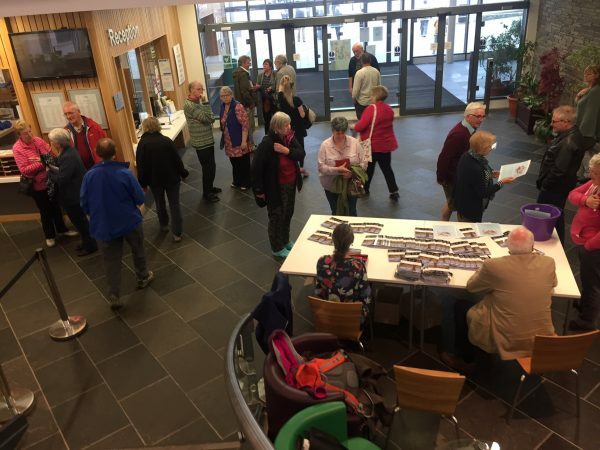 The Society now hopes to continue its work fundraising, supporting archaeology in Orkney and providing the public with opportunities to learn about and get involved in archaeology. OAT as an entity was formally disbanded in 2011, with its remaining assets being transferred to the Orkney Archaeology Society. In 2018 we became a SCIO as agreed by the 2016 AGM. For more information on the way archaeology in Orkney is organised, please see the Orkney Archaeology page.